Game Theory is a branch of applied Mathematics which looks at competitive situations where two or more people have conflicting interests – it is not the theory of using games in learning. Two criminals, Prisoner A & Prisoner B are put in different rooms and given a similar deal. If one implicates the other, he may go free whilst the other receives a 10 year sentance. If neither of the crimanals talk, both are given 1 year sentances, and if both implicate each other, they each receive a 5 year sentence. John Nash, a famous mathematician and Nobel Laureate, whose work in game theory provided insight into the forces that govern chance and events inside the complex system of daily life, was made famous by popular media in the movie, A Beautiful Mind. This excerpt from the movie looks at Nash as he begins to formulate his idea of the Nash Equilibrium – for which he would later win a Nobel prize for his contributions in Game Theory. 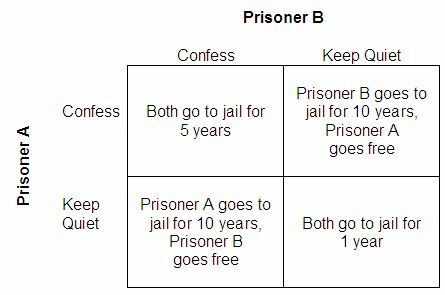 A Nash Equilibrium is a state in the game where no player has an incentive to deviate. Each player’s equilibrium strategy is known by the other players, and no player has anything to gain by changing only his own strategy. When all the players in this case go for the blonde, every player can increase his payoff by deviating. See a Truel in action in the Clint Eastwood Western The Good, The Bad, The Ugly. So Game Theory is a branch of Mathematics that uses vocabulary like Nash Equilibrium, complete/incomplete information, zero sum, variable sum, optimal strategy, deviation, expected value etc. – it’s not the Theory of using Games in learning. It’s evident from recent weeks that many are confused when talking about games in the same breath as education. This is understandable. The question, “What is a game?” still elicits varied responses depending on who you talk to. Most fields of study have been around for thousands of years, have fairly clear definitions and boundaries and have a vast body of knowledge to draw from. Whilst games in various forms have been around as early as 2600BC (see Exploring Games Through Culture) and are a universal part of human experience, definitions from Callios, Huizinga, Salen, Zimmerman, Pearce, Wittgenstein etc. have no real agreed definition of what a ‘game’ actually is. Games are an activity that generally have an uncertain outcome. Games have rules and to a degree, conflict. Games have a clearly defined set of goals. If we now add relatively new fields like game design and gamification into the mix, you can start to understand where the confusion comes from. Meeting with Donald Brinkman from Microsoft Research in Melbourne recently and having several meetings the DEECD folk (who have not long completed their serious games and virtual worlds trial), it is important that there is a shared understanding of not only the literature, but also of a critical vocabulary – a set of words or common language that enable us to have meaningful discussions around the use of games, and at the higher level, allow DEECD folk to make informed choices and decisions in regard to policy development. This common understanding is important otherwise we risk propagating misconceptions and misunderstanding which has implications for a learning method that is just starting to gain real traction in education circles. Understanding the differences between Game Theory, Game-Based Learning, Game Development & Gamification is paramount to elevating the dialogue. Game Theory is the theory of using games in learning. Gamification is the use of games in learning. Gamification could be seen as dumbing down the curriculum. Game Design & Development is digital only. That the study of games needs to be integrated into a subject. This is part 1 of a series of posts that will look into the differences and similarities between Game Theory, Gamification, Game-Based Learning and Game Development. Entering the second week of the University of Pennsylvania MOOC on Gamification via Coursera, I have to say it is better than what I was expecting in both content and delivery. Over 66,000 people from 174 countries are taking this 6 week course, and after enrolling with a large amount of skepticism about ‘gamification’, am quite enjoying the discussion taking place in the forums. Much use of the term ‘gamification’ is often grossly oversimplified or sometimes just plain wrong, but the discussions taking place in this course seem to be elevating the dialogue around this topic. 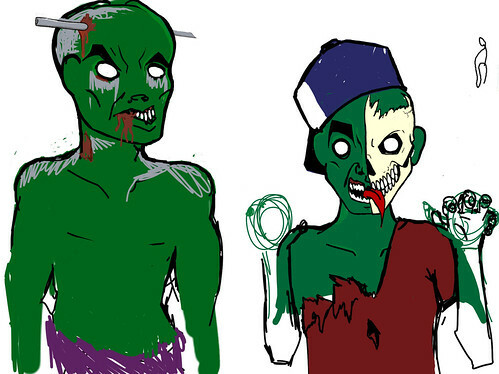 I’m going to continue using Zombies, Run! until I finish the storyline. What is interesting is that games or ‘game-like’ activities continue to invade real life – a real-life Zombies, Run! 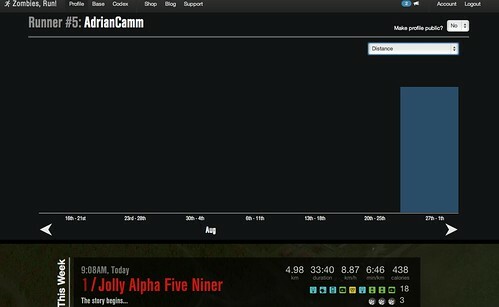 has already been implemented with http://runforyourlives.com/ events springing up everywhere. It’s funny how as we go about our lives, we can sometimes wander around blissfully ignorant of the amount of bad mathematics that is used in society. Regularly you will hear things like, ”Up to 25% or more” or see misconceptions accepted by those who don’t know any better ie. imagine a fictitous company that draws 5% sales from Australia in 2010 and 10% sales from Australia in 2011. This does not equate to a 5% increase in sales (like many believe) – it equates to a 100% increase in sales, as the amount of sales in total has doubled from the previous year. Its been written about countless times before, but it’s that simple. Using data (correctly or incorrectly) doesn’t equate to improvements – what the data can show is that you have improved.